The Best Acting blogs from thousands of top Acting blogs in our index using search and social metrics. Data will be refreshed once a week. Acting newsletter is a comprehensive summary of the day's most important blog posts and news articles from the best Acting websites on the web, and delivered to your email inbox each morning. To subscribe, simply provide us with your email address. About Blog This is a Subreddit where anyone and everyone who is interested in the art of Acting meet up. Facebook fans 1,187,393. Twitter followers 556,878. L.A. & San Diego by way of MD About Blog Created by an L.A.-based performer, this blog is intended to help actors promote and market themselves, though it's often more advice-oriented than anything else, with worthwhile tips coming from well-known actors via quotes and video clips. Facebook fans 5,250. Twitter followers 6,918. Glasgow, Scotland About Blog Based in Glasgow, join us for Full and Part-Time Acting Classes at Acting Coach Scotland, Scotland's top acting studio with acting classes for all. Blogs on topics such as Acting Technique, Drama School Auditioning, Inner Game of Acting and other acting-related topics. Facebook fans 2,818. Twitter followers 355. Sydney, New South Wales About Blog StageMilk is an acting resource website. We offer acting tips, monologues, Shakespeare information, and articles and how to guides on every thing an actor could ever want to know. Facebook fans 9,683. Twitter followers 1,654. California, USA About Blog Providing actors with professional websites and tips to manage your professional career. Facebook fans 2,991. Twitter followers 3,684. Los Angeles, CA About Blog Follow Matt, in his one-bedroom apartment as he takes on the city of Los Angeles and pursues his one true love: acting. Facebook fans n/a. Twitter followers 2,627. Los Angeles, CA About Blog Elizabeth Mestnik Acting Studio is a boutique studio for students who want to learn the art of acting in a challenging and inspiring environment. Facebook fans 1,893. Twitter followers 413. About Blog The acting website offering resources, an acting blog, acting tips, mentoring and insights into how to take your career to the next level. Facebook fans 1,518. Twitter followers 1,673. Sydney, Australia About Blog Adnan Zey was born on the 7th of January in the western suburbs of Sydney, Australia. Join me in my journey to become the best I can be in this industry! Facebook fans 163. Twitter followers 51. Los Angeles, CA About Blog Lesly Kahn is the best Acting Teacher & Coach. Lesly has been obsessed with actors and acting ever since she put on her pink tutu and fell off a stage into the arms of a waiting audience at the age of three. Facebook fans 3,267. Twitter followers 5,005. U.S.A. About Blog MikesFilmTalk is the culmination of four years spent building a site focused on the entertainment industry. With emphasis on film, television, YouTube, gaming and literature as well as interviews with professionals from the world of entertainment. Facebook fans 203. Twitter followers 10,752. Burlington, Ontario, Canada About Blog FILMCOMM is the top Television and Film Agency in TORONTO (with offices in NIAGARA as well), representing union and non-union actors. We are extremely dedicated to ensuring the success of our actors. We specialize in having an eye for outstanding talent. Resumed actors feel right at home with our dedication and industry reach. Experience notwithstanding, we will take a chance on new actors that we feel possess the right attitude for this industry. Facebook fans 613. Twitter followers 209. North Hollywood, CA About Blog The only acting school in Los Angeles that offers daily training, with many of our actors on film and television. Learn from active working professionals. Facebook fans 5,589. Twitter followers 1,142. NYC About Blog Blog by director and acting coach Matt Newton, offering honest advice for actors of all levels. Facebook fans 2,695. Twitter followers 1,426. LA About Blog Discusses the business of acting, getting work, and everything connected with becoming a better actor. Andrew Wood Acting Studio... Named a top Los Angeles acting school by BACKSTAGE! Facebook fans 618. Twitter followers 1,230. L.A. 13 yrs, now Provo, Utah! About Blog Acting without the Drama delves into the practical ways that actors can approach the craft of acting in order to create magic in their performances. Facebook fans n/a. Twitter followers 14,970. New York About Blog Tips, Advice, Projects & Articles on acting by Douglas Taurel. Facebook fans 1,982. Twitter followers 12,200. Los Angeles, CA About Blog Los Angeles acting information and news; resources that help you to be an actor in LA. Facebook fans 648. Twitter followers 6,040. About Blog Sydney Actors Collective is a premier acting school, run by working professional actors focusing on the best training in film, TV and stage. Facebook fans 892. Twitter followers n/a. About Blog Cranky is an award-winning, published playwright, a producer and also an actress. Cranky writes about acting off the grid. All the crazy truth about auditioning and working in indie no budget films and black box theaters in NYC. Facebook fans n/a. Twitter followers 6. About Blog Wayne Burns, born in the small town of Truro, Nova Scotia, Canada, is an award-winning actor, who continues to act in theatre, film and television, a trained singer and an emerging creator. Facebook fans 444. Twitter followers n/a. About - Welcome to The Actors Centre. The Actors Centre is the UK's leading organisation which supports actors throughout their professional careers. About - Angela is a London based actor who writes a monthly acting blog called B.A.B.E. The aim is to inspire new actors and create an entertaining and informative way to learn the tricks of the trade. About - Your guide to actor Benedict Cumberbatch. About - Established in 2008, City Acting is the boutique London Drama School. We offer expertly tailored evening classes and weekend workshops that are designed for all levels, whether you’re new to acting or an experienced performer. 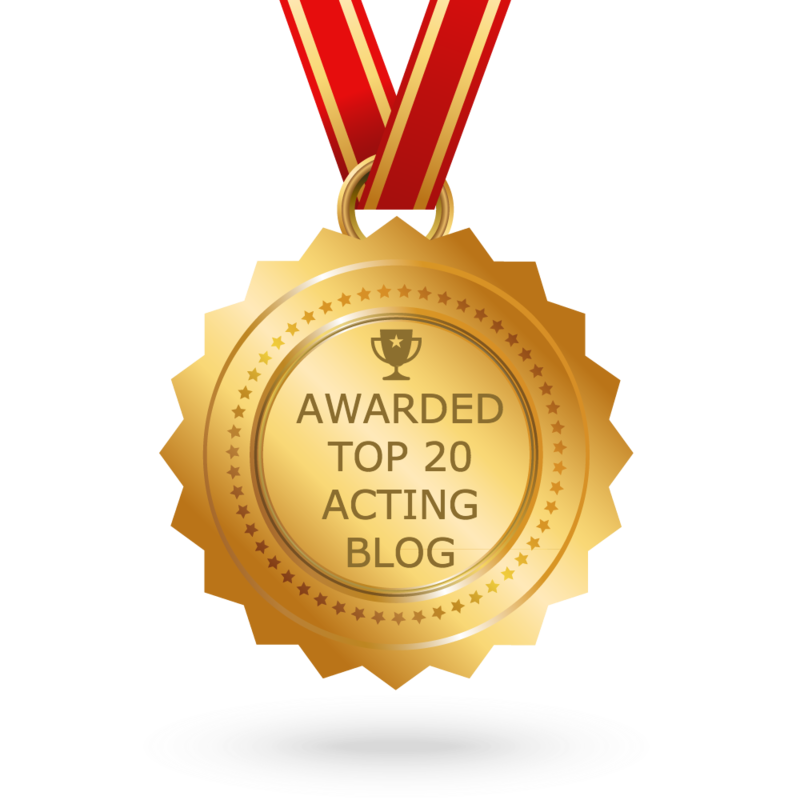 CONGRATULATIONS to every blogger that has made this Top Acting blogs list! This is the most comprehensive list of best Acting blogs on the internet and I’m honoured to have you as part of this! I personally give you a high-five and want to thank you for your contribution to this world.